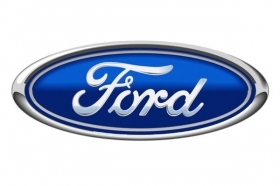 SAN FRANCISCO -- Many Ford Motor Co. dealers are rethinking compensation plans to keep salespeople motivated to sell the automaker’s redesigned small cars such as the Fiesta subcompact and the 2012 Focus compact, due in March, despite the small commissions on those vehicles. Many Ford salespeople prefer to sell pickups and SUVs, which pay bigger commissions. Yet dealers and Ford need to persuade staffers not to ignore the automaker’s smaller cars. Ford is counting on those cars to attract younger buyers -- and to help it gain market share in traditional import strongholds on the coasts. The typical margin on a truck could be upwards of $1,700 whereas the profit margin on a subcompact such as the Fiesta is only about $300, dealers say. That leaves most salespeople earning about $75 on the sale of a small car versus hundreds on pickup and SUV sales, dealers say. Boeckmann says he’s lost some good salespeople because of shrinking commissions. Galpin recently started supplementing those smaller commissions with sales contests based on customer satisfaction. Galpin also has started what Boeckmann calls “volume bonuses.” Those are extra bonuses paid to those salespeople who sell a certain number of new vehicles. The program lets salespeople earn extra money even on the sales of small cars. At McRee Ford in Dickinson, Texas, owner Mitchell Dale has a similar program. Salespeople who sell more new vehicles, of any size, move up to a higher level of commission on all sales. The small car customers he’s seeing are in their 20s or 30s and very technology savvy. They also are typically trading imports for Ford vehicles such as the Fiesta. That new customer presents a challenge for a Southern dealer who asked to not be named. He says he has tweaked his pay plan to base commissions on sales volume so that if a salesperson sells five small cars, the person moves up the next step to earning a higher commission percentage on vehicles sold. Dealer Billy Wood of Billy Wood Ford in Jena, La., plans to aggressively push small car accessories. He hopes those accessory sales will offset the small commissions. He also hopes that Ford Motor Co. will offer more “spins.” Those are compensation amounts that Ford pays to clear out certain vehicles. The amounts range from $75 to $300, he says. “It comes out of Ford’s pocket, not mine,” Wood says. But some dealers say the answer lies in creating a career compensation plan for the dealership to retain good salespeople. Jerry Turnauer, co-owner of Bayshore Ford in Pennsville, N.J., has had the store for 35 years. Most of his staff has worked there for 20 years or more. He credits it to his long-term thinking on compensation. His pay plan is not “an isolated thing, it’s a combination of all the other things we do.” For example, if a customer returns a vehicle, Turnauer will refund the customer’s money, but he does not reverse a salesperson’s commission on that returned vehicle. Another option is to pay a commission on the holdback, says Martin Gubbels, owner of Big Sky Ford in Torrington, Wyo. “I pay a commission on the holdback for the Fiesta sales because that customer is as important to me as the SUV and pickup customer,” Gubbels says. His Fiesta margin is about $300, he says, while the holdback is about $400. “I include a percentage of both in the salesman’s commission so that they don’t feel slighted in the deal,” Gubbels says. Gubbels doesn’t see automaker “spins” as the answer because they are often tied to specific Ford requirements that are hard for a salesperson to meet.